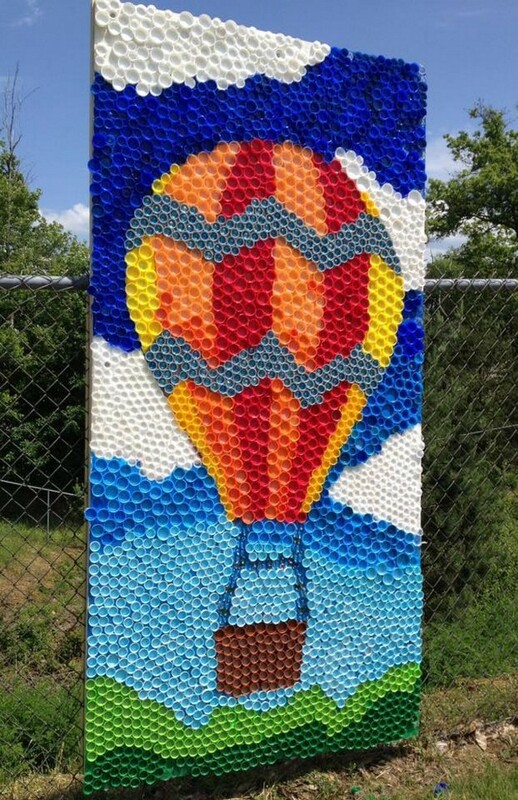 If anyone of you is making faces on hearing or seeing the title of crafts that are going to be created with the bottle caps, then you are supposed to first have a quick tour of this website. 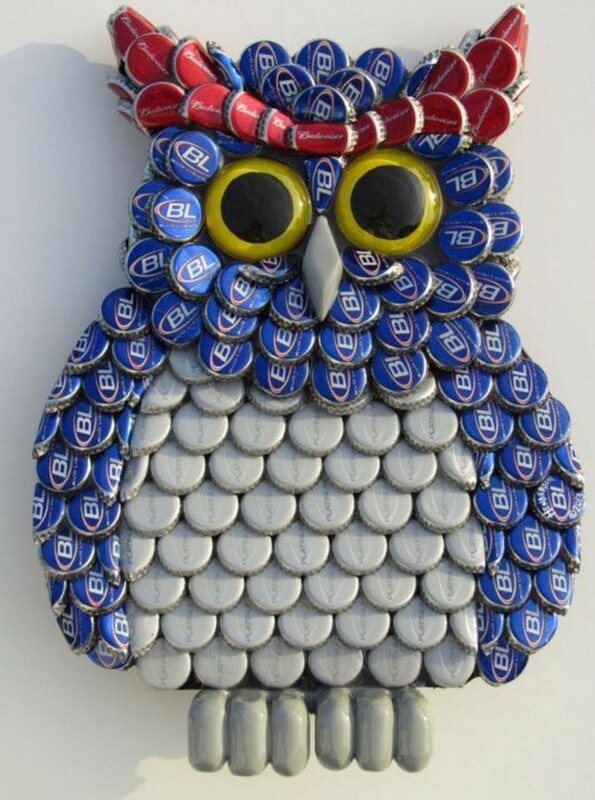 We are known for such crazy art crafts, or you can say that this is our trademark. And infact what’s so wrong or bad in that? Come on man, there are a lot of people who love doing this sort of crazy things and I think this is the very essence of art. 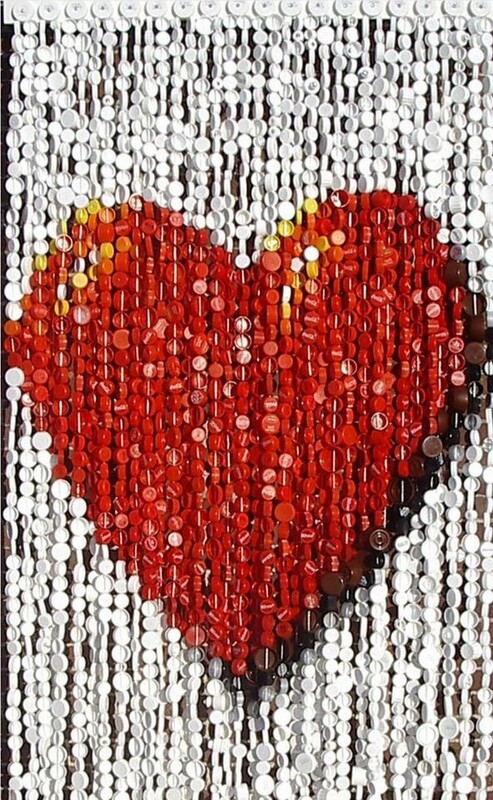 Come and have a look on recycled bottle cap crafts. Awww… even the very first creation is so cute that I literally find no words. 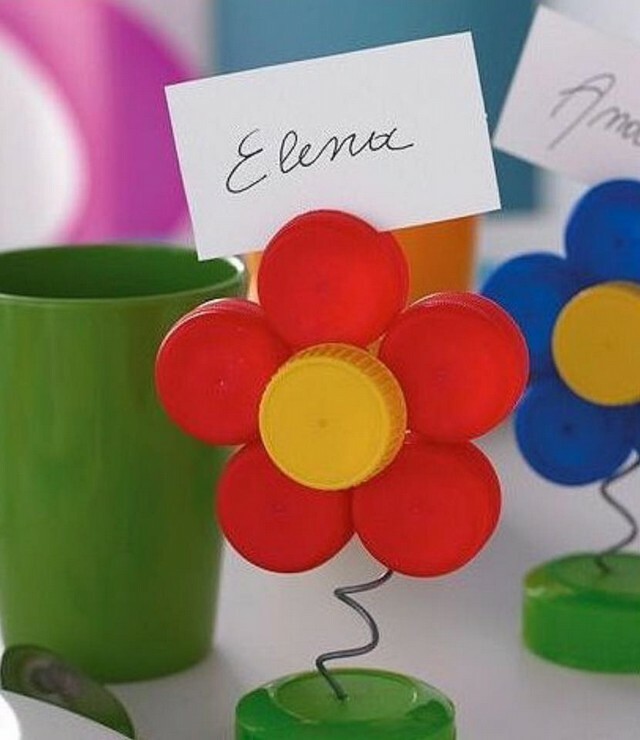 Where on planet earth you would find such a cute flower that could also be used as a tag board? Yes this is the creation of the common bottle caps. 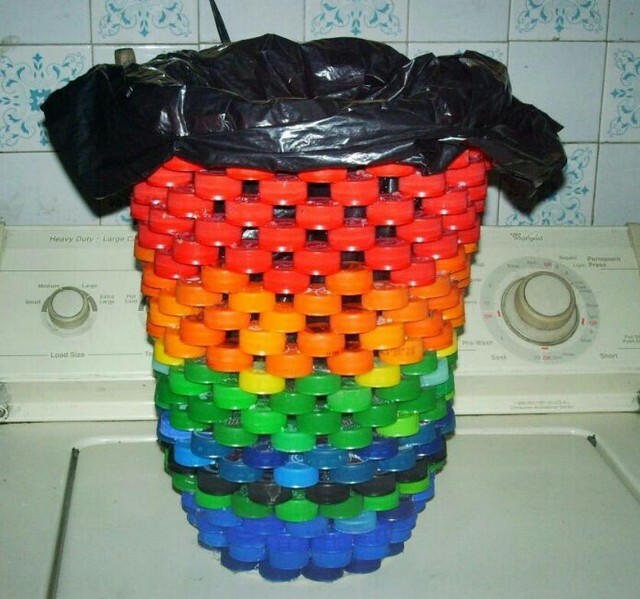 And now this one is really a next level sort of demonstration of this crazy art craft making. 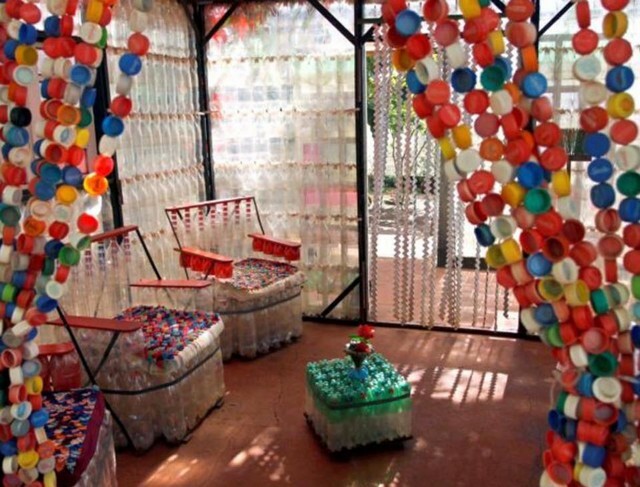 I mean this is a bit too much, the couches are made with the whole plastic bottles, and the curtains are made with the bottle caps. Seems like an art exhibition otherwise who would be such a fanatic. 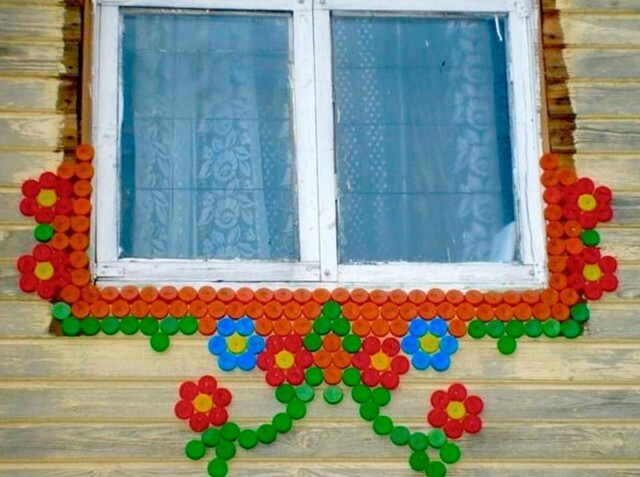 Well, this is a lighter side of the plastic bottle cap art craft. 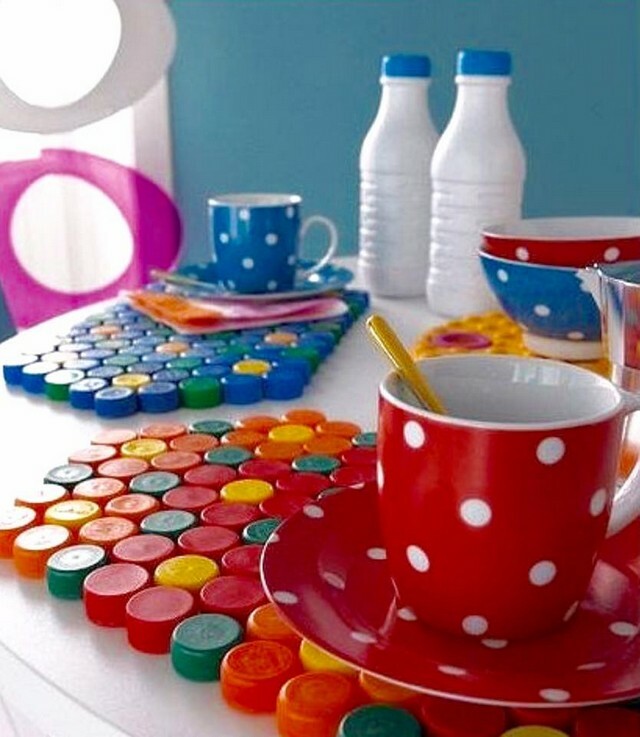 we didn’t care to use some expensive embellishments, rather we preferred these cheap tiny objects which have done the job in a wonderful manner. The caricature or design is quite eye catching. 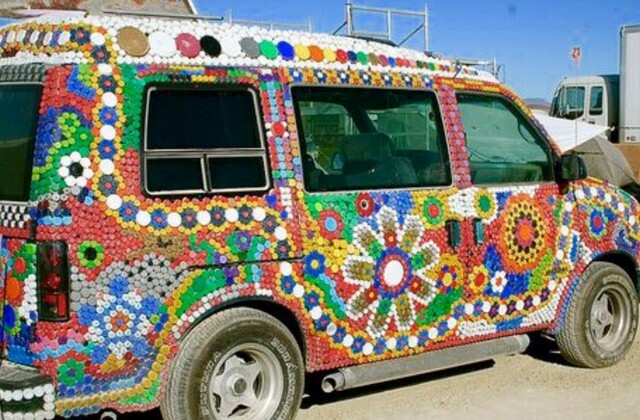 The next project in the timeline also takes some extra passion because for some regular crafters this would not be simply easy to cover the whole jeep with the bottle caps. It needs a lot of energy, dedication and commitment. But the final product is simply out of this world. 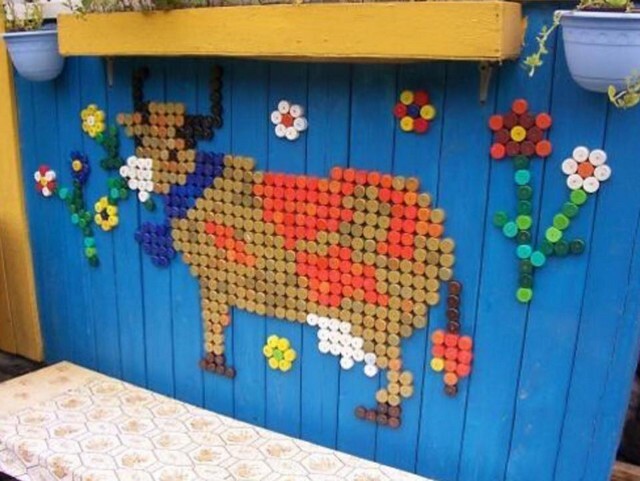 Again to make this exclusive scenery that is meant to be used as a garden décor idea purely, you need the same tiny corks or bottle caps that could be found everywhere so easily. A certain sequence is maintained here without which this sketch wouldn’t have been possible. Come and show your guts and your art skills to make a real impact of the masses. Because this kind of crazy creations are not expected from some common crafters. 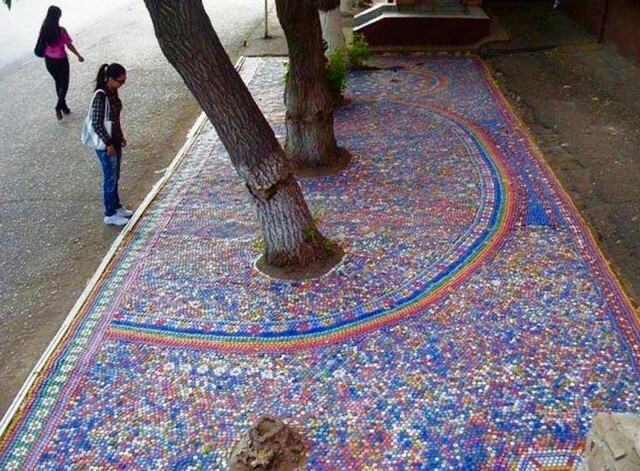 This takes a lot of guts, and other hand collection of such a large quantity of caps is a challenge in itself, but not impossible at all. 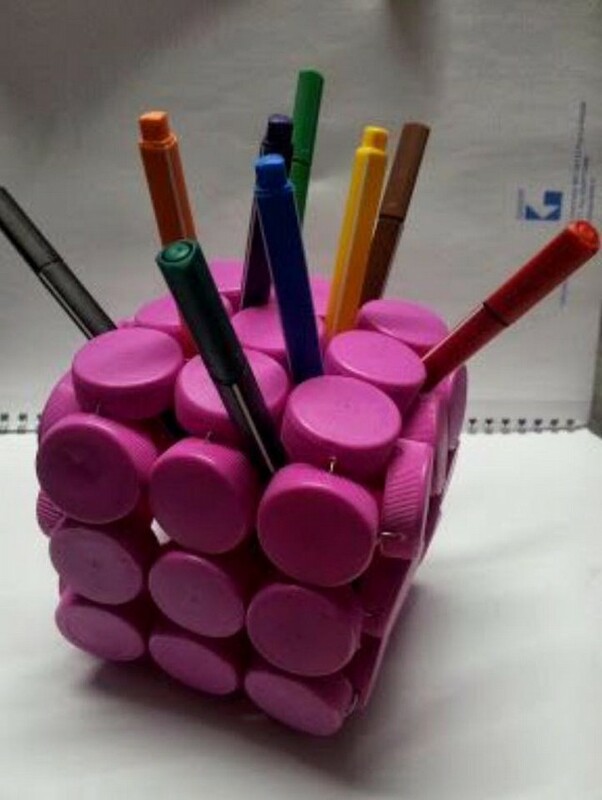 We have seen and bought many pencil holders for the home or official use, never we have been across this sort of cute and lively pencil holder, isn’t it true? And trust me making this one is so simple like other that the bottle caps you just need a thin metallic wire to be crossed though each cap. Wow, just imagine that the material that you considered to be the trash or garbage is going to take care of your actual garbage that you actually need to get rid of. Just make sure you follow this same pattern.